I have purchased a lot of items from Chewy.Com and I have also reviewed items from Chewy.Com for my review. All thoughts are 100 % honest and my own. My cats love the Holidays as they get lots of gifts and treats from me. I give them a variety of cat treats that suit that time of the season. 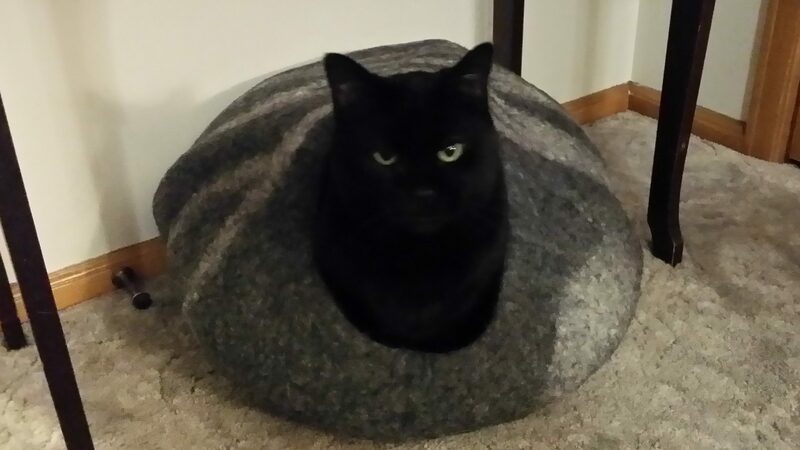 My cats get gifts that keep them warm and comfortable during the winter season. They get a large variety of toys, etc. 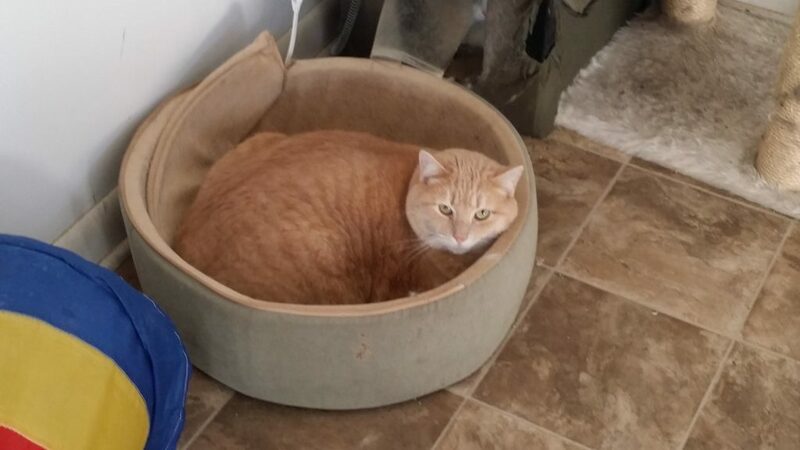 Heated cat beds are a big hit with my feline family as each cat has his or her own heated little getaway. My cats like large round beds, little heated house’s, dome covered bed, window sill beds and heated mats. Large wool beds, memory foam beds, and beds that conserve your cats own body heat are a popular hit also. 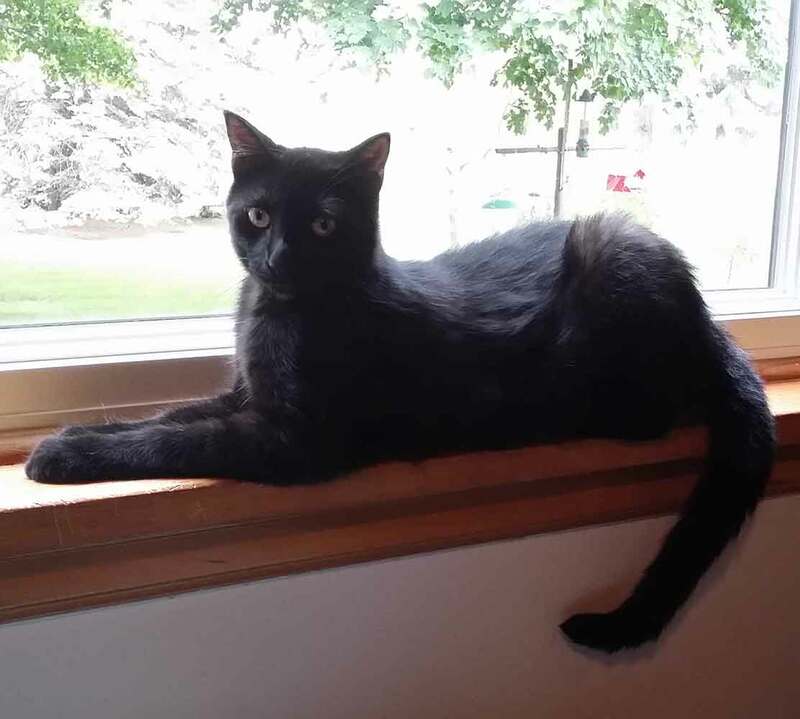 Favorite cat treats for my large feline family are chicken flavored, tuna, pumpkin, turkey and organic made treats. They like dental treats, special holiday treats that are hard or canned. 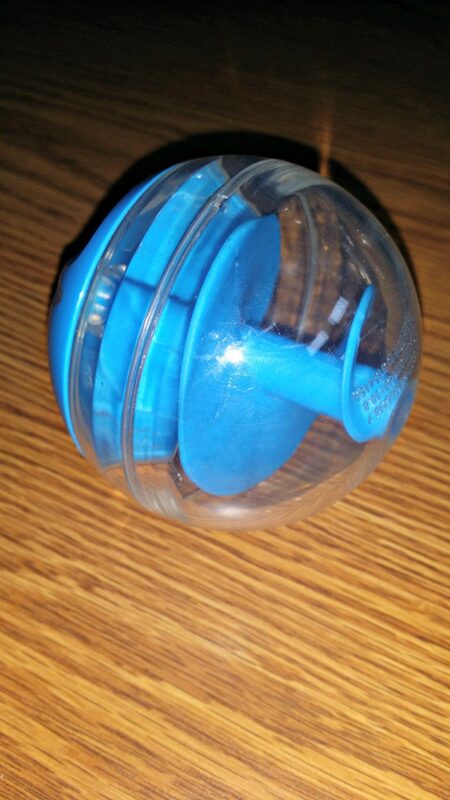 I put the treats in treat balls, a Temptations mouse and mind game treat dispensers that enhance your cats memory. I place the canned cat food in the lids of cottage cheese containers or cat food dishes. My cats also get new cat food dishes or bowls for Christmas. If you have outdoor cats make sure their heated beds are working along with their heated water bowls. Have a building where they can get out of the elements quickly and safely and provide fresh clean bedding for them such as straw, blankets, etc. Use a large coffee can as a format to make a hole for their entryway. 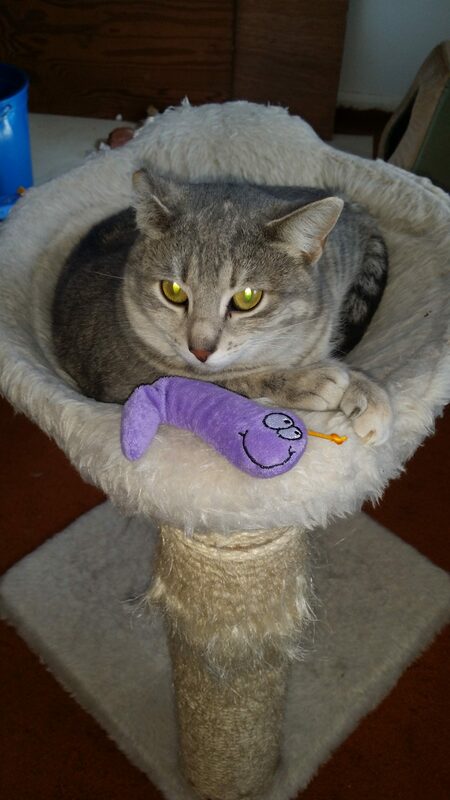 My cats love toy mice that squeak or are filled with catnip and singing toy birds. Kohl loves green toy frogs. They like to play with small shiny balls. They like to play with crinkle balls and toys that light up in the middle. Conrad loves to play with a toy rabbit that he can pull its tail out with his teeth and it dances across the floor. He has played with it for four years and it keeps on dancing the night away. My cats love to play with a stick toy that has a small fish that dangles at the end of it. 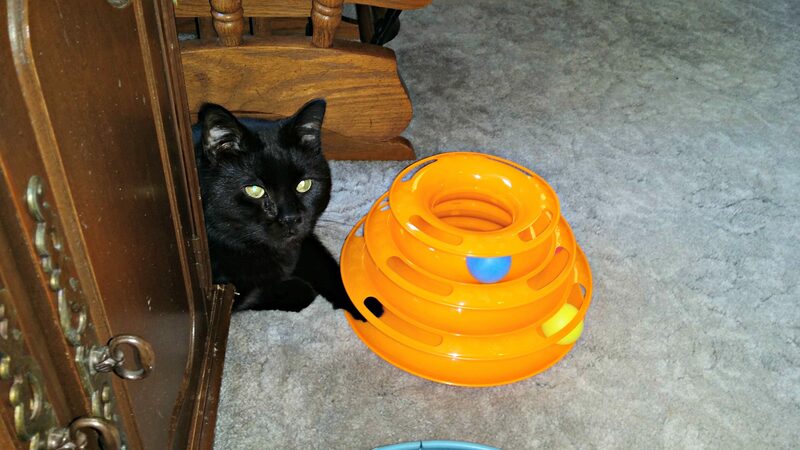 My circular cat toys that have a ball that they can spin around the track is still an attraction for them. 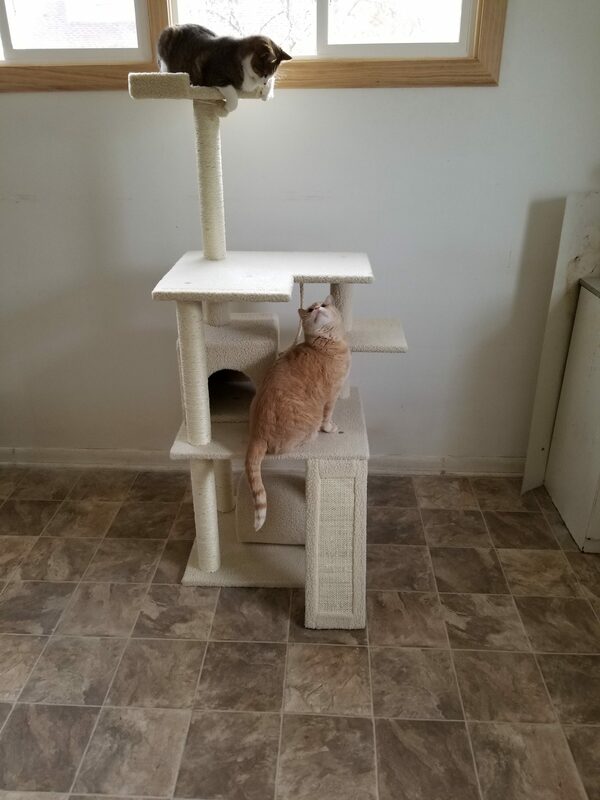 My cats next door absolutely love their new 62 ” cat tower. They play with the string and rope on it and scratch and sharpen their claws and rest on the different levels and they love to look out of the window on the top pedestal bench. Chewy.Com is my cats choice for their Holiday presents and treats and goodies. I love the fact that I don’t have to go dashing through the snow because Chewy.Com delivers everything right to my door. This year my cats presents will be new toy mice, memory foam beds, a new heated cat bed and lots of cat treats and more. They will be pampered and spoiled and loved to no end. Hope you and your cats get the gifts you need and want this Holiday Season.